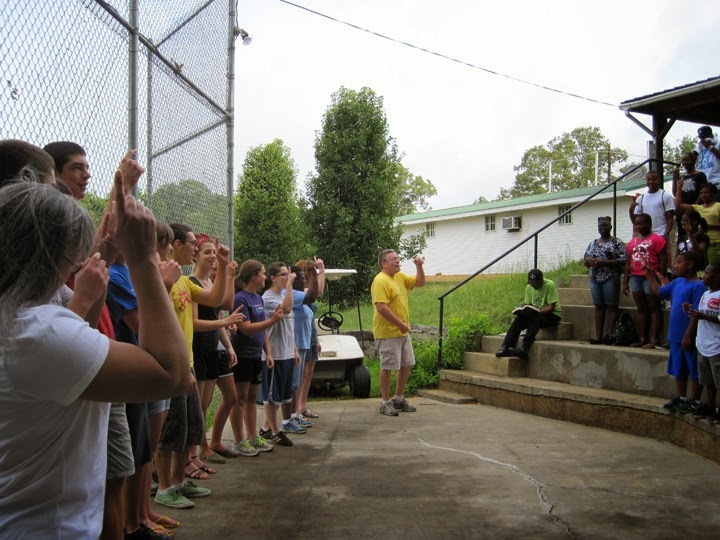 I'm admittedly delinquent in sharing this, my first ever mission trip. However, now truly seems like the right time. If you haven't already, please take a look at my previous post "Racism & the Blessing of Being too Concerned to Understand" for some background. We pray the Lord will use this trip to cause a Gospel-centered view to permeate our own hearts in the realm of racial reconciliation and community restoration as in all of life. • Pray for us as we are going primarily as students. Pray the Lord brings us understanding regarding barriers and bridges to racial reconciliation. • Pray we come away with Christ-centered application we can take with us, especially in St. Louis. 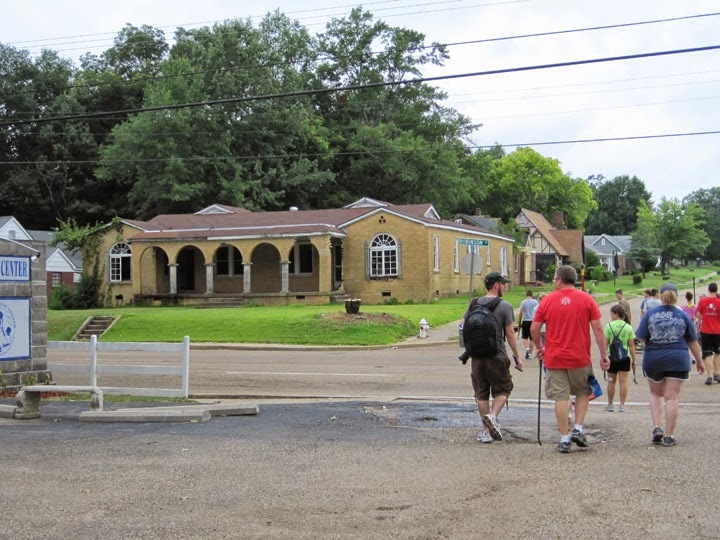 In July of 2012 a team of 18 got into a bus pointed south and headed to Mississippi in a sweltering heat. Our bus-turned-sauna got us safely, if not sweatily, to our destination at the Spencer Perkins Center in Jackson. I don't think any of us really knew exactly what to expect on this trip. I know I didn't, but I was excited at the prospect of what we might learn. As you may have picked up in my previous post, everything about that list above is of great concern to me. I care deeply and I wanted to understand moreso. What a blessing, therefore, to have the honor of spending a week in the presence of John Perkins himself, especially after having read his story. This is a man who won't let you call him "reverend." We were to call him "Grandpa." And we did. Every one of us. No exceptions. This is a man who has lived some hard history, and who, transformed by God's grace, is deeply passionate about racial reconciliation today. And what I love most is that this is a man from whom you can't help but hear about Jesus. We spent part of each day being discipled by this man, who we all grew to love. Of all he taught us, the primary thing Grandpa Perkins said that stood out to me was, "God made one race, the human race." He noted different ethnicities, but there is only one race created in God's image. That reality continues to stir in me, especially since taking CCEF classes which drove this point home. I see through the diversity of cultures He created throughout time God has in each expressed just a tiny bit of His own limitless creativity. I was also struck by a comment Grandpa made about our group. Upon asking each individual's family status, he noted this was the most "intact" group he recalled hosting. By this he meant each was raised or adopted into a two parent family. Those married had also remained so. He stated what a great and unusual blessing this was. This too has stuck with me, especially having learned more recently about the issue of fatherlessness in our region. What are the Gospel implications to be shared from this blessing? How perhaps can we show God as Father to the fatherless, or encourage the abandoned to understand adoption as His sons and daughters through Christ? 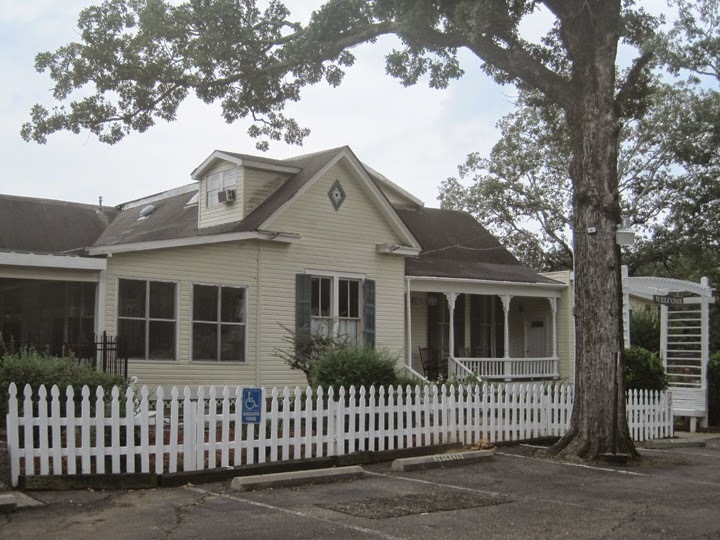 Regarding the Spencer Perkins Center, developed on a former plantation, it was interesting to see the effect this presence had on their neighborhood. While we were not too far from the area's most dangerous street, we sat out on the porch some nights at our house across the road from the Center while locals went for walks. Apparently this was just one improvement over time. We met neighbors who wondered what we were up to. Some didn't even know much about the Center, but they all sensed something good was happening there. It was a blessing to spend time with everyone we served with, and certainly to meet Grandpa's grandson, Big John. 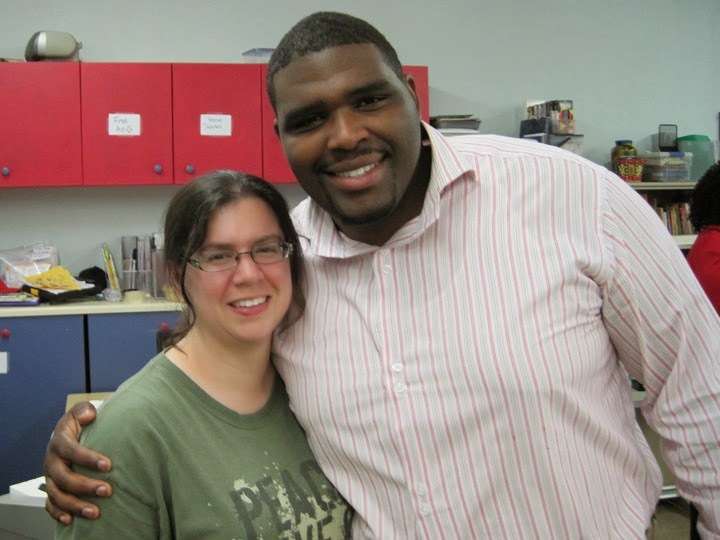 We also had an opportunity to spend some time with him and his family, who brought some of the Center's kids on a special trip to St. Louis in 2013, which helped deepen our love and respect. 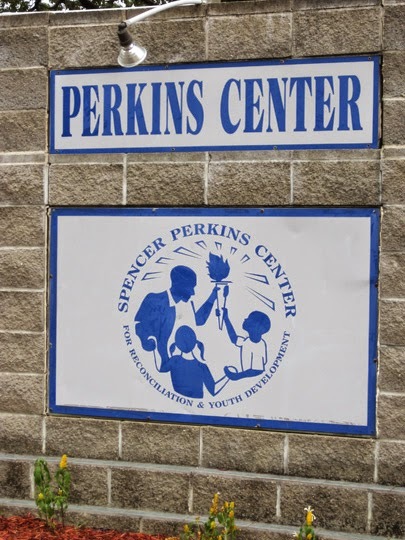 In addition, we learned a bit about Spencer Perkins, Big John's dad for whom this Center was named. He passed away in January 1998. On a wall inside Antioch House he is quoted, "The world needs a sign... our Gospel is strong enough to set us apart from the rest of the world by showing them a love that goes beyond what comes natural." His legacy clearly lives on. The work portion of this trip was largely helping tear salvage out of an old duplex donated to the Center and located directly across the street. 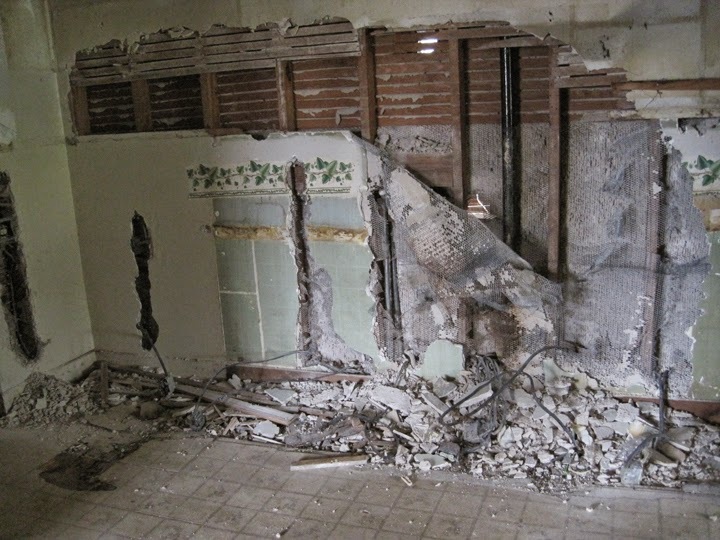 I spent a lot of time pulling nails to help tear out boards and yanking copper wiring out of walls to sell for scrap. The building was fully demolished a few days after we departed. There were some ideas for the land, though when last I revisited it remained an empty plot available for future development. I spent a good amount of time pulling out those kitchen wires. We also spent some time with local kids at a day camp. Again we got to learn from Grandpa Perkins as he taught. We were challenged to teach the group some songs, and they taught us a few as well. On another night we got to enjoy an evening barbecue and some live worship music with the locals and another visiting group. A few of us also made short work of prepping some children's Bibles with stickers and inserts to make ready for an event, along with a bit of office help as needed. We enjoyed Sunday worship at New Horizons Church International. Their friendliness and enthusiasm were contagious. We also happened to be available a night the Center was invited to a movie premier, and were all taken out to the theater after a long day's work. Here we were joined by Grandpa's wife, Vera Mae, as well. Another day our lunch break was at the restaurant Cool Al's (famous for burgers). On our last evening we had a lovely dinner at Mama Hamil's Soul Food Buffet, where I got the pleasure of being seated next to Grandpa and getting to speak to him a bit more. All these times were great for the team, and a good way to learn about Jackson. 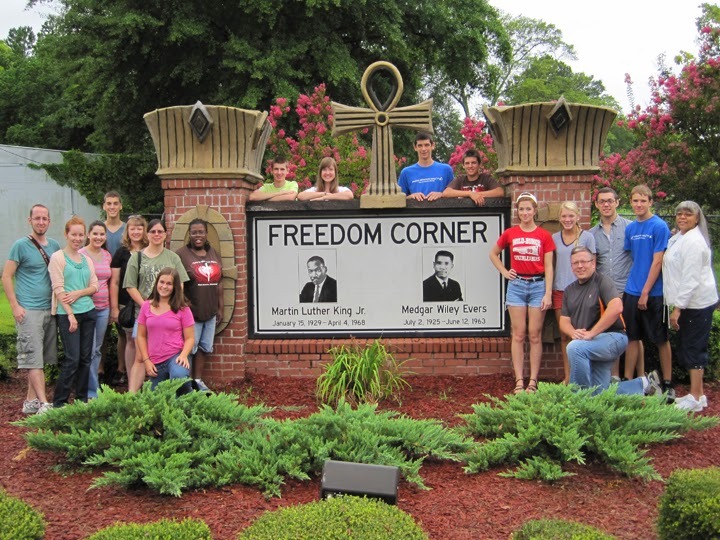 On our longest day out in Mississippi we began at Freedom Corner, the intersection of Martin Luther King Junior Blvd. and Medgar Evers Blvd. 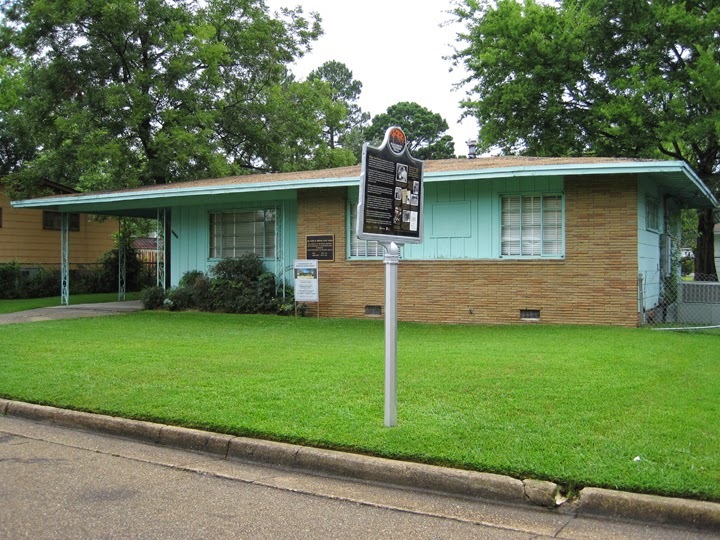 We then visited the Medgar Evers home, and the very spot upon which he was shot and later died after initially being refused hospital treatment. His blood still stains the carport, making this a particularly difficult stop. 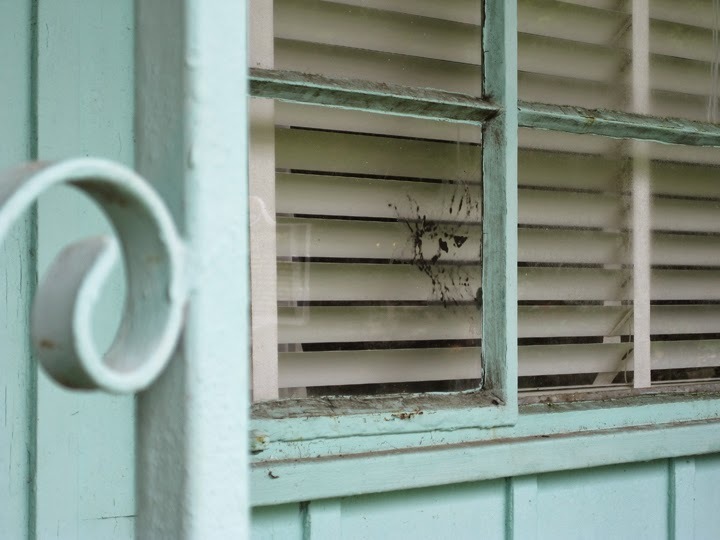 Following this horrific event in 1963, the family later donated the residence to Tougaloo College. Lunch that day was at Brent's Drugs, which was featured in "The Help" and appears to be frozen in time. 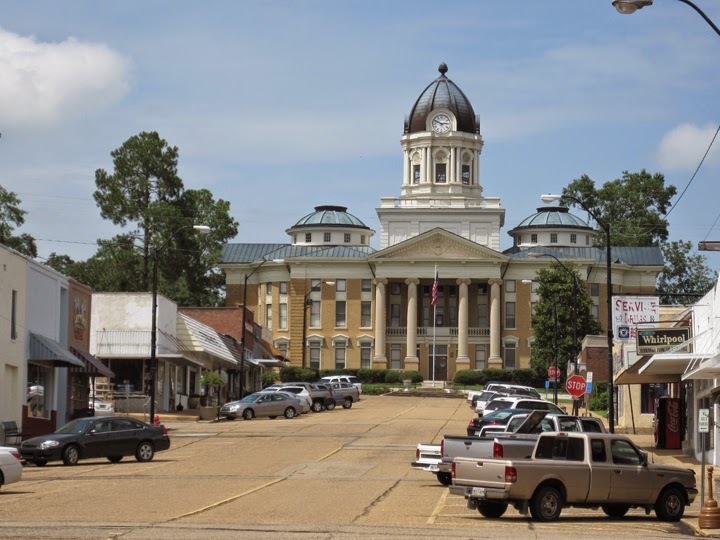 Afterward we drove to Mendenhall to tour some significant sites in Grandpa Perkins' life, including the original site where his ministry there began and several locations mentioned in his autobiography. 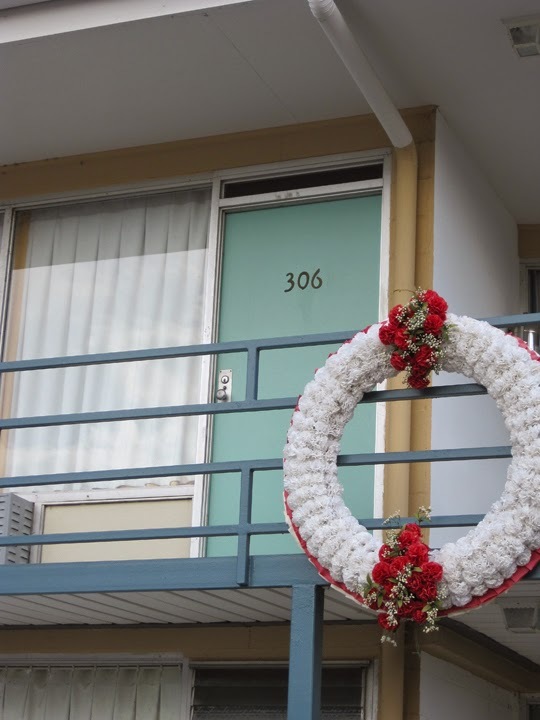 There is abundant history here with some major local happenings in the Civil Rights movement. In Mendenhall "the other side of the tracks" was quite literal. 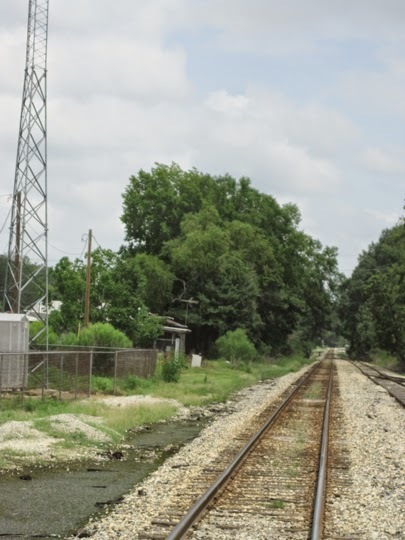 These train tracks divide the town. The street above the tracks leading up to the courthouse. 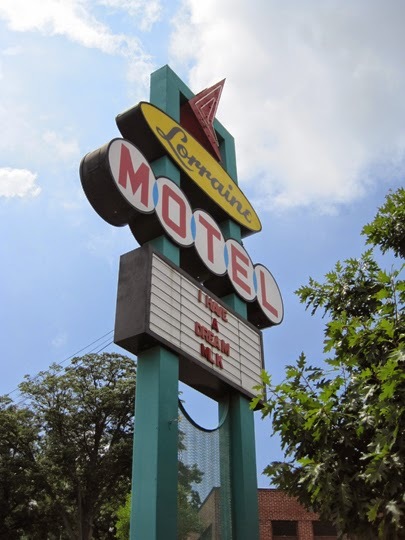 A site of injustices, protests and change. On our last night in Jackson a few of us walked Grandpa Perkins back to his home to pick up any last moments of wisdom or humor, and give our hugs and goodbyes. We'd already learned a lot, but we weren't finished yet. On our way back north we had one more stop to make in Memphis, TN at the National Civil Rights Museum. Once again, I was overwhelmed at all this history. With so many displays and details, one needed much longer than we had to take it all in. 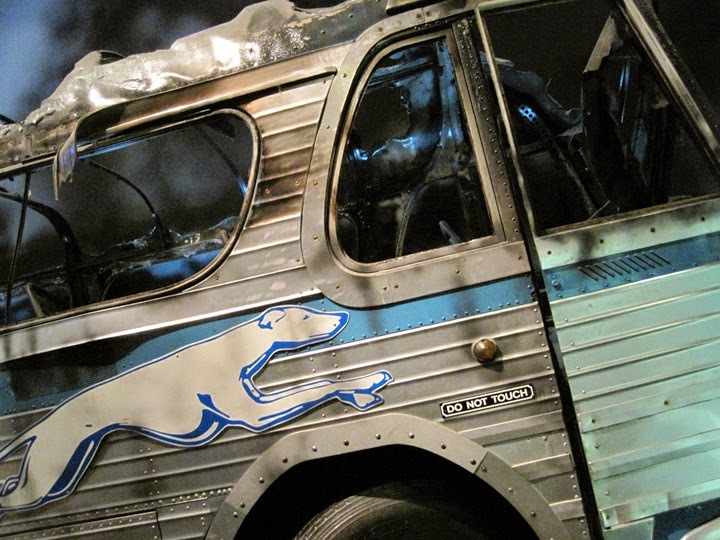 I was amazed they even had the torched bus from the Freedom Riders on display. 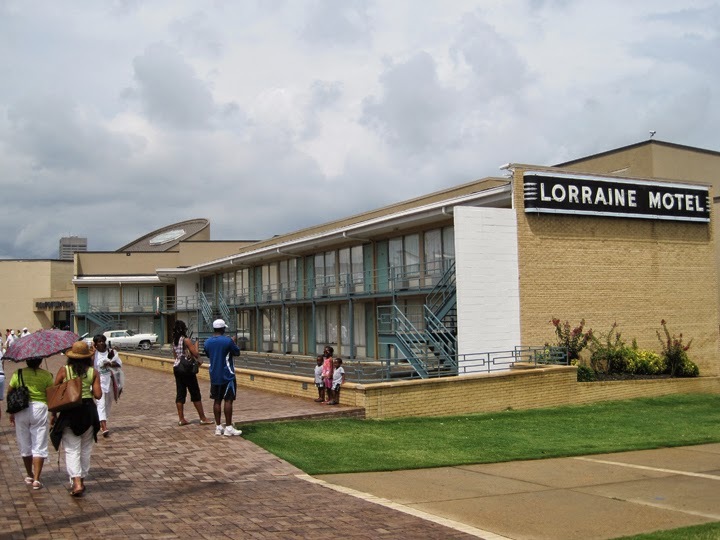 But the hardest part was that this museum was actually the Lorraine Motel, the site where Martin Luther King Jr. was assassinated. There's much I could say, so much I could not fathom, but to be honest I could barely swallow as we headed back to our bus. Reviewing it all again, this was a difficult trip for me to process, and I am still considering the greater implications. As much as I rightly cannot stand the injustices we learned about, I began to realize one of my primary prejudices is actually against the racist. Yet if Jesus can change the heart of John Perkins, who nearly died at the hand of such hate, how must the Gospel affect my own response to people who would think and do such things? They, too, are created in God's image. They, too, may be changed by His grace. 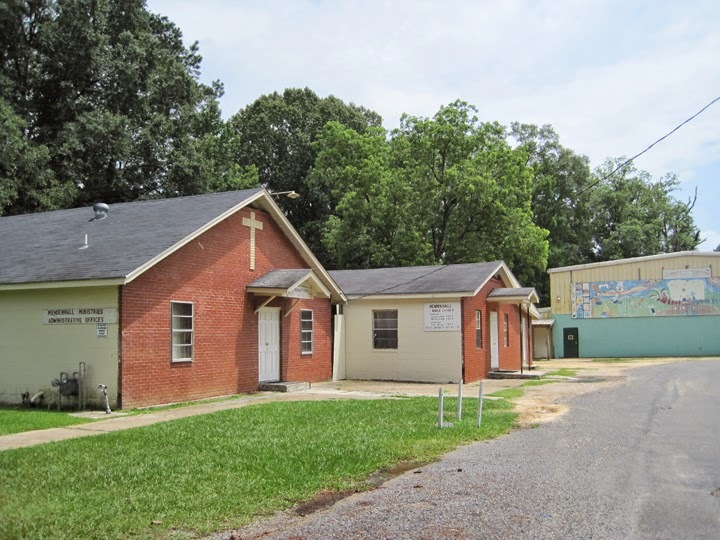 As for racial reconciliation and community care, presence is undoubtedly a key factor, as I learned working in this Jackson neighborhood and based on things I have heard in recent days. This is not an easy task because of the brokenness of this world, but it must start as brothers and sisters reconciled to God through Christ serve together and, even more simply, really get to know one another. This requires reaching across all kinds of man-made divisions and actually being involved in people's lives. We must pursue others as Jesus pursues us. 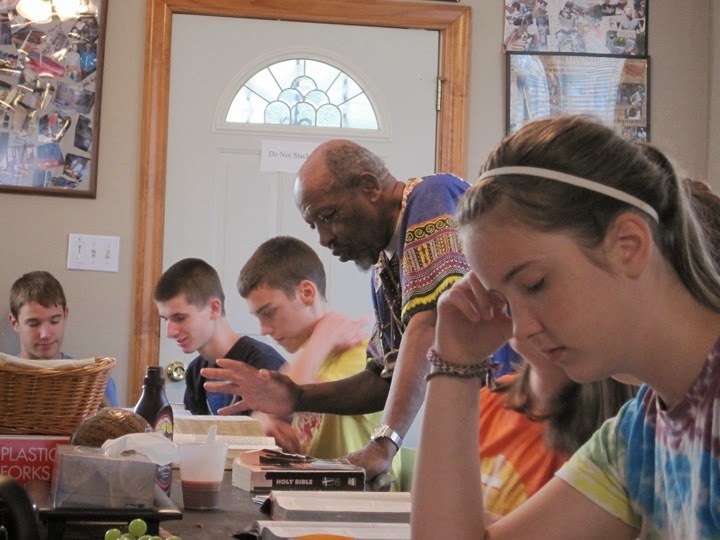 Back in 1989, coming out of the work at Mendenhall and previous ministries in California, John Perkins began an organization called Christian Community Development Association (CCDA). This was to create support for ministries serving in under-resourced areas. Of affiliate organizations, Chicago's Lawndale was one with which I was previously familiar. 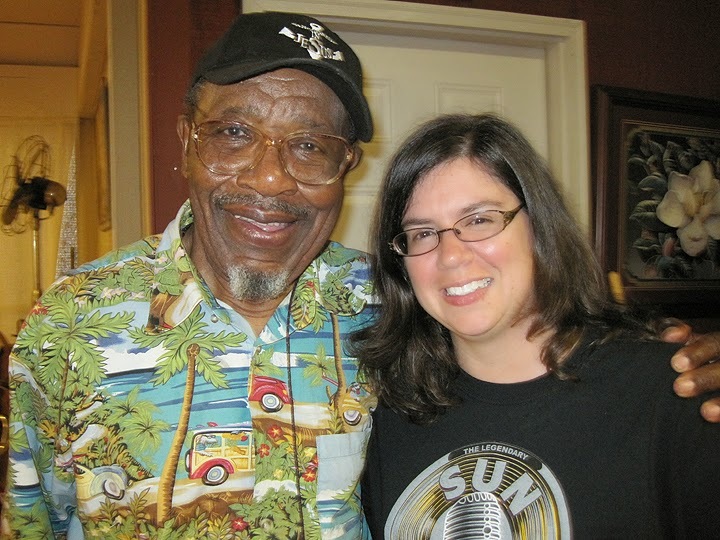 Of course the John M. Perkins Foundation was involved. And I noticed on their map a ministry a bit closer to home, and already dear to my heart, Mission: St. Louis.